Jilin University – Lambton College (JULC) is a Sino–foreign education institute co-operative affiliated with Jilin University, and is officially approved by the Ministry of Education of China. Established in 1999, JULC not only offers undergraduate, but also post-graduate education and recruits international students. It ranks among the top ten Sino-foreign higher-level educational cooperative institutions in China. With 18 years of successful international higher education experience, JULC has set up the first Cambridge International Curriculum Center of Jilin province – providing a high-quality international high school curriculum. Our purpose is to become a first-class international talent-training hub by creating a one-of-a-kind educational pathway that provides each and every student with all the tools necessary to reach his or her fullest potential. 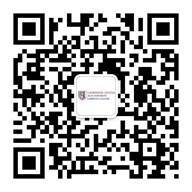 Cambridge International School of JULC is authorized to be the sole International curriculum center in Jilin province by Cambridge International Examinations (CIE). The global code: CN209. The goal of the Cambridge International Curriculum of JULC is to provide renowned international education for Chinese students, and to assist them on their paths to the world’s top universities. Our center offers a diverse and vibrant study experience, helping student to learn valuable knowledge and skills while also developing their own personalities and interests. Cambridge International Examinations (CIE) is part of Cambridge Assessment, a department of the University of Cambridge. It is the world's largest provider of international education programs and credentials. IGCSE & A-Level teaching and examinations are approved by the center. Students attending our center can take the examinations at JULC instead of going abroad. With their IGCSE and A-Level results, students can apply for tens of thousands of top global universities in the world – such as Oxford, Cambridge, Harvard, Massachusetts Institute of Technology, etc. Graduates of Cambridge International School at JULC will have an advantage over traditional Chinese high school applicants when applying to these universities as our curriculum is widely recognized. Our center utilizes the Cambridge training model. Class sizes are small (approximately 10-15 students) in order to maximize student-teacher communication. Students will also be able to seek all-around guidance from their teachers – not only as it pertains to academics, but also extracurricular activities. We will also implement a strict plan for students’ attendance and for achieving academic objectives. We will ensure that students are prepared for their next stage in life by improving their communication, teamwork, leadership, critical thinking and problem solving skills. Through the Cambridge – JULC method, students will also gain a sense of intellectual curiosity and broaden their way of thinking. Our center is equipped with a professional guidance team. The instructor is from our Faculty of Foreign Affairs at JULC. In the past 18 years, the Foreign Affairs Office has helped thousands of students study abroad with a visa acceptance rate of 100%. Our center is committed to providing professional services and personalized guidance for students, and help them open the door to the world’s top universities. JULC has been a leader in international education for over 18 years, thus has accumulated a wealth of international education experience and resources. Resident international teachers consist of 40-60 people each year from countries such as the United States, Britain, Canada, Australia, and Ireland. These teachers have all graduated from world-renowned universities, and exhibit a wealth of teaching experiences. Our Chinese faculty is also extraordinary, with carefully selected professors from Jilin University who have both professional backgrounds as well as overseas working and teaching experience. The curriculum and the examination systems are flexible. Our center will hold examinations twice a year. If students have poor performance on a test, they can re-take the test at a later date. We understand that 16-19 year olds are still in a transitional phase in their lives. Our priority at the Cambridge International School of JULC is to cultivate students’ abilities to learn and live independently, so that they experience a seamless transition when they go university. Graduates of our center can apply to universities both at home and abroad. This is different from traditional international schools where graduates may only go abroad to study. Our graduates can study in China and be registered by Ministry of Education of China as JULC is a Sino–foreign education institute co-operative affiliated with Jilin University, and is officially approved by the Ministry of Education of China. We provide an undergraduate education typical of Canadian and American universities to Chinese students. Students may choose to complete all of their undergraduate studies in China. Our Center is also the only one authorized to provide the Cambridge International Curriculum. After learning A-Level, our center is also the only one where students have the right to accept higher education both at home and abroad. IGCSE is International General Certificate of Secondary Education. It is the world’s most popular international curriculum for students 14 to 16 years of age. It develops skills in creative thinking and problem solving, providing students with excellent preparation for higher-level courses such as Cambridge International AS and A-Levels. Schools can offer any combination of subjects, and each subject is certificated separately. Over 70 subjects are available, including more than 30 language courses that are suitable for learners of all abilities. A-Level stands for a General Certificate of Education of an advanced level, and is a ‘gold standard’ qualification. Cambridge International A-Levels have formed part of the Cambridge qualifications framework for over 50 years and are widely recognized for entry into higher education. Good Cambridge International AS and A-Level grades are often key to admission into the world’s major English-speaking universities. Cambridge International A-Levels typically take two years to complete and offer a flexible course of study. With 55 subjects to choose from, schools can offer almost any combination from the wide range of subjects available.